You are at:Home»Uncategorized»TRIBUTE/R.I.P. 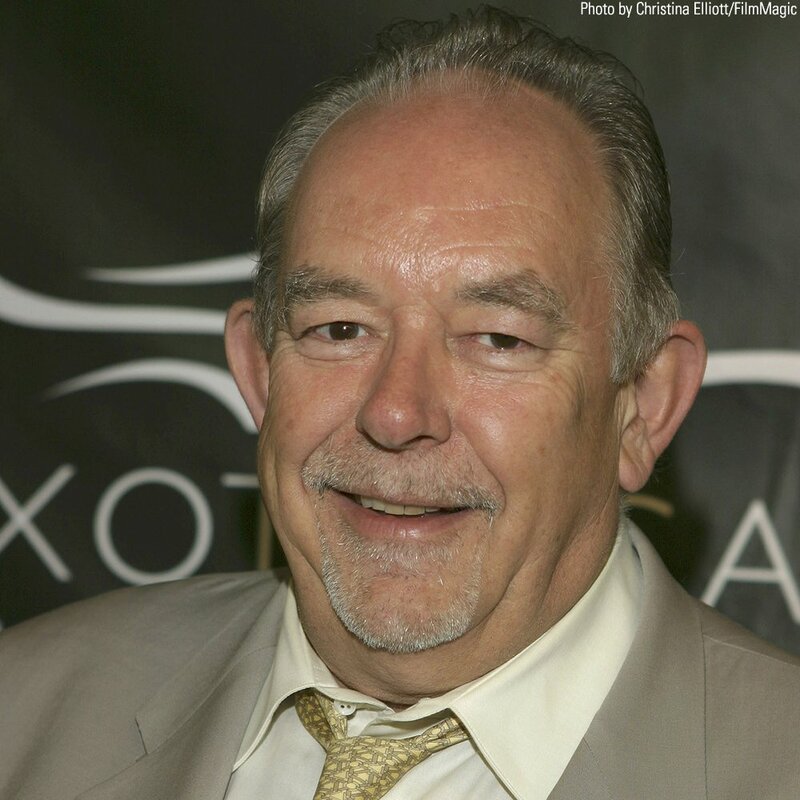 : ROBIN LEACH, R.I.P. 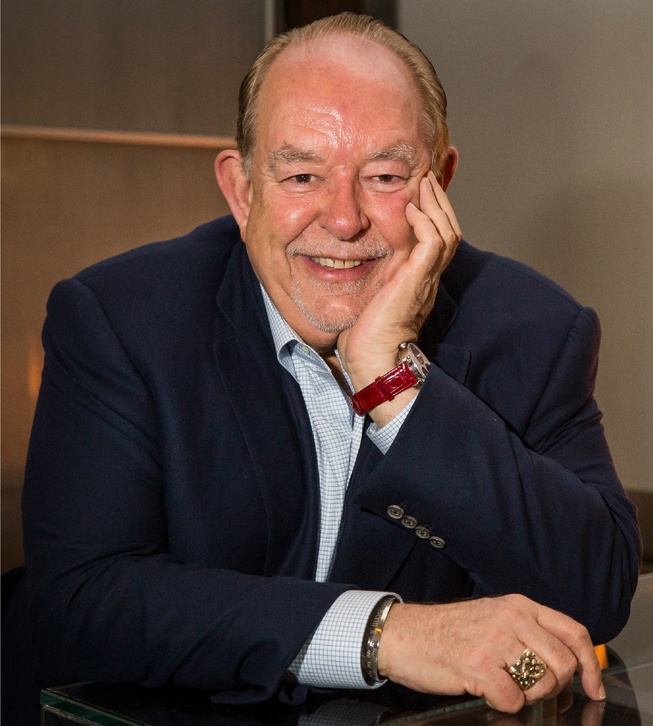 Lifestyles of the Rich and Famous host Robin Leach is someone I had not seen in a long time, but I always expected to bump into him again any day; he was that kind of presence. So his death two weeks ago took me by surprise. 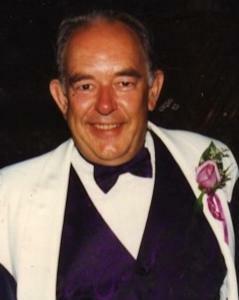 I was introduced to him when I was very young, and Mr. X and I had just started being a couple. At the time, Mr. X was one of the stars of a very popular TV series, and he had recently split from a famous TV actress. Their break-up was great fodder for the tabloids, and everyone wanted to know what was up with it, and were especially curious about who this young “starlet” he was now seeing was. We were keeping our new relationship under wraps at the time, so we were being followed around by photographers, and reporters were even going through our garbage! Robin Leach learned of my existence from one of his photographers, so, being the reporter he was, he kept bugging our wonderful manager, Stuart, for the story. 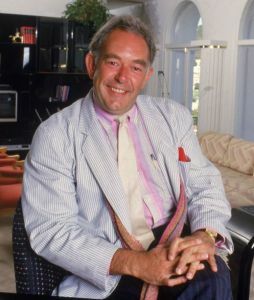 One of the very few people in the biz whom Stuart trusted was Robin, so we agreed to let him have a bit of our story, hoping he would treat us right, which he did. We stayed friendly after that. So, awhile after it had become common knowledge that Mr. X and I were together, we took a trip to New York, coincidentally when Robin was there, as well. I was not even a billionth of the bon vivette I am today, and Mr. X was as hermetic as he’s always been, so, of course, we were not hip to what the illuminati do in that crazy town, outside of my teen-age Brooklyn knowledge. So, Robin offered to “host” us that week. I had no idea what that meant, but it was a trip I’ve never forgotten. 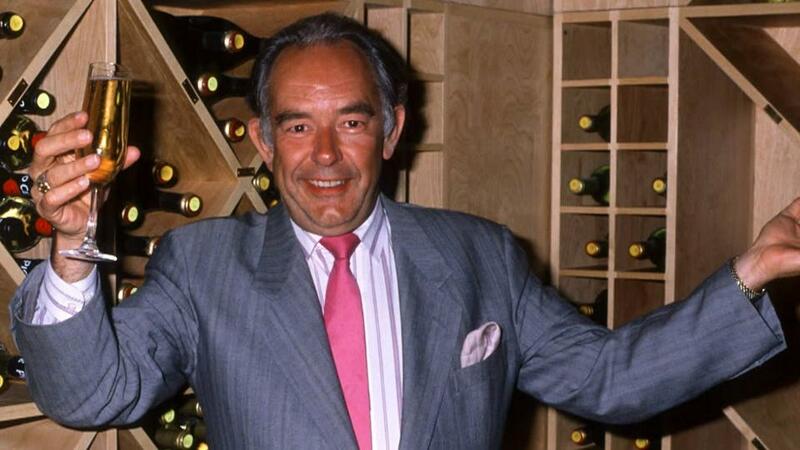 What a wild ride hitting the Big Apple with Robin Leach was! It was nightly limos and happening restaurants and the hippest clubs. It was a dream come true for the younger me! The whole whirlwind was the kind of time I still crave; many were group hangs, with other show biz pals of Robin. Let me tell you—that man was popular! And he knew exactly what to do at each moment. The first night, he took us to a “Joe sent me” eatery in the basement of an Upper West Side…florist shop! I searched for that place forever after, but even when I thought I had found it, the flower people would not admit what was downstairs without Robin accompanying me. What an experience that was! We decided to not say anything to Robin about the encounter because, as friendly as we all were by then, he was still a tabloid reporter, and Mr. X was (and still is) very private. But, of course, word had traveled by then. Even so, when Robin grilled me about the encounter later that evening, I still resisted. So, at dinner the next night, he made sure to seat me next to him, to have another go at breaking me. He kept saying to just tell him as a friend, not for publication. I finally said that if he promised to keep it off the record, I’d tell him the story, because I knew he was absolutely salivating for it. When he swore to it, I spilled my guts. And we continued to have a fun week together. So I was shocked to find-out, when we got back to LA, that he had totally betrayed my trust and published the story, and worse, he attributed it all to me! In print. And it was not even close to what I had told him. Mr. X and our manager were furious with me for saying anything at all to Robin. But Robin thought it was all very amusing. Of course, I forgave him. But that stopped me from ever again having another totally magical experience with him after that. I realized that Robin and I were too dishy for my words to remain between us. He and I bumped into each other in LA from time to time and we always had a giggle over something. And then I had not seen him in several years when I met him for the last time. We were both panel members on one of the annual telethons, and the second he saw me backstage, he came right over and, with a twinkle in his eye, asked how Mr. X is. That really struck me right—even though it had been several years, he was still right on top of things. To this day, many people still stupidly ask if my bae and I are still together, but Robin knew that, of course, we’re a done deal for life! I really appreciated that. I’ve always held Robin dear in my heart, and long for even one more night like the exciting and incredible ones we had together. Even though that can never happen again, I cherish those wonderful memories.